Dr Suki Sandhu is a retina specialist who has a Doctor of Medicine degree in clinical research on imaging of diabetic retinopathy and age-related macular degeneration. Dr Sandhu completed a Medical Retina Fellowship at the Royal Victorian Eye and Ear Hospital (RVEEH) in Melbourne and currently holds an appointment in the Medical Retina clinic there. He is actively involved in research at the Centre for Eye Research Australia, being a part of the Clinical Trials Research Unit. 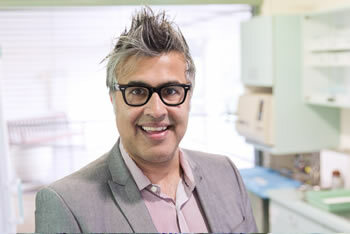 Dr Sandhu is an investigator in several industry-sponsored trials that include macular degeneration, retinal vein occlusion and diabetic retinopathy, and also pursues his own interests in macular disease research, especially central serous chorioretinopathy. He is also an experienced cataract surgeon, specializing in complex surgery with retinal disease.